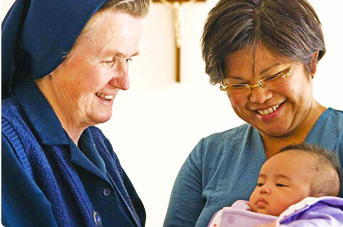 The Daughters of Charity Province of the West has been providing social service, education and health care ministries in the western United States for over 160 years. Today they operate ten schools, a foundation, affordable and senior housing facilities, a foster care group home, the largest Meals on Wheels Program in the United States, a specialized substance abuse program that also provides housing for pregnant women and mothers, an early childhood development center and many other programs serving the sick, the elderly and low-income families and their children. Click on the links below for more information on these Daughters of Charity ministries.